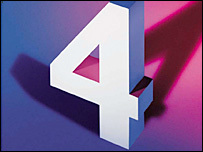 BBC Radio 4 is to axe the UK Theme, the opening music it has played for 33 years, in changes to its schedule. The theme is a five-minute medley of tunes including Danny Boy, What Shall We Do With The Drunken Sailor?, Scotland the Brave and Rule Britannia. It will be replaced by a news briefing and extended shipping forecast. Radio 4 controller Mark Damazer predicted there would be some protest at the decision to lose the medley, which will take effect in April. "I know there are some people who will regret the passing of the UK Theme," he said. "But I believe the bulk of the audience will be better served by a pacy news briefing, read by one of Radio 4's team of news readers." Written by Austrian-born composer Fritz Spiegl, the UK Theme also includes popular tunes Men of Harlech, Greensleeves, Londonderry Air and Early One Morning. It has been broadcast daily at 0530 GMT to signal the switchover from the World Service to BBC Radio 4. Farming Today and Prayer for the Day will not be affected by the changes.